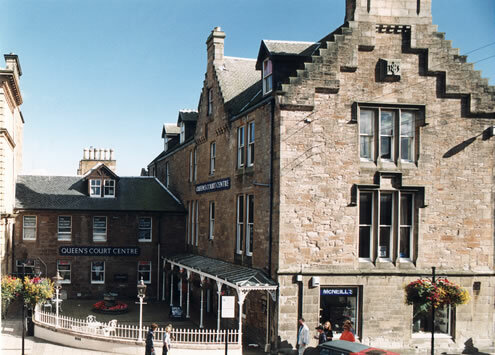 Part of Ayr's historic town centre, Queens Court links the Sandgate with New Market Street. The site of this development was a rundown group of outbuildings behind one of Ayr’s main shopping streets. 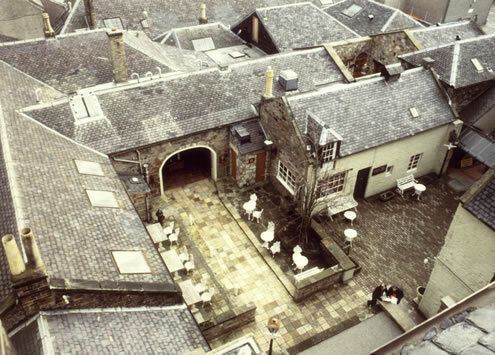 By a careful re-opening of pends and alleyways a finely scaled complex of specialist shops and offices was created benefiting from and enhancing the qualities of the old stone buildings. 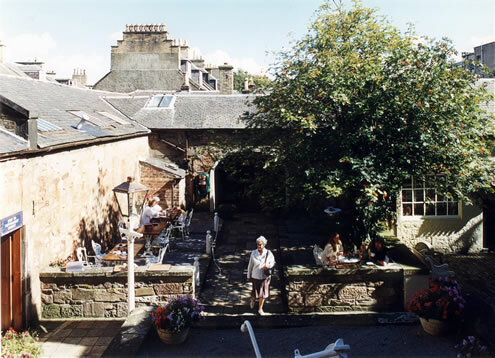 Local independent businesses have thrived in the small scale environment of an intimate pedestrianised area. The completed project won a Civic Trust Commendation.